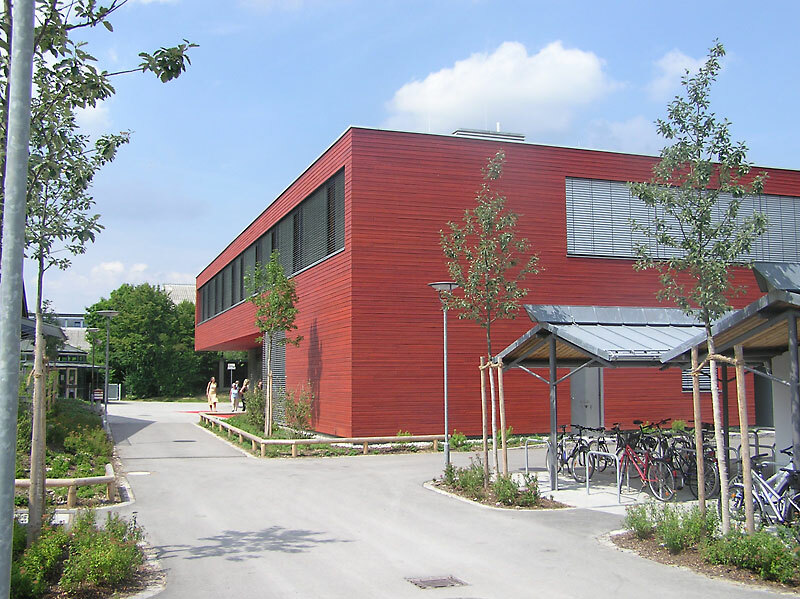 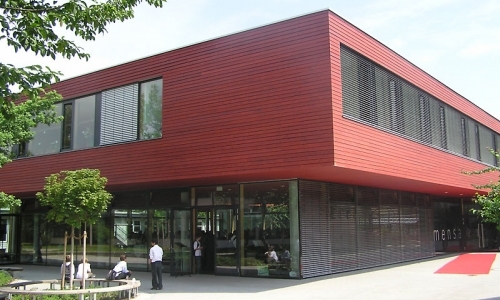 Extension of the education centre at Pfarrer-Grimm-Strasse 1 with a canteen and after-school care. 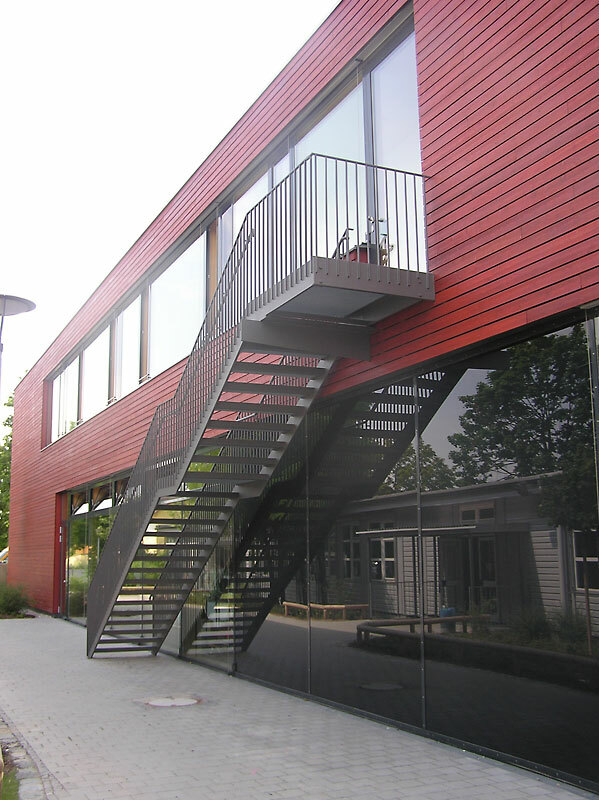 Two storey buildings with a rectangular footprint of approx. 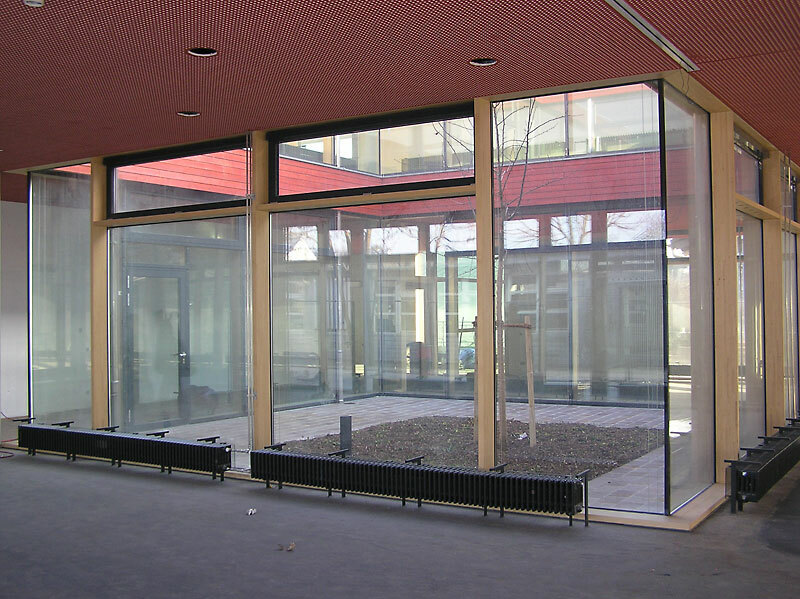 26 x 36 m, with a 26 x 10 m basement for plant rooms and storage. 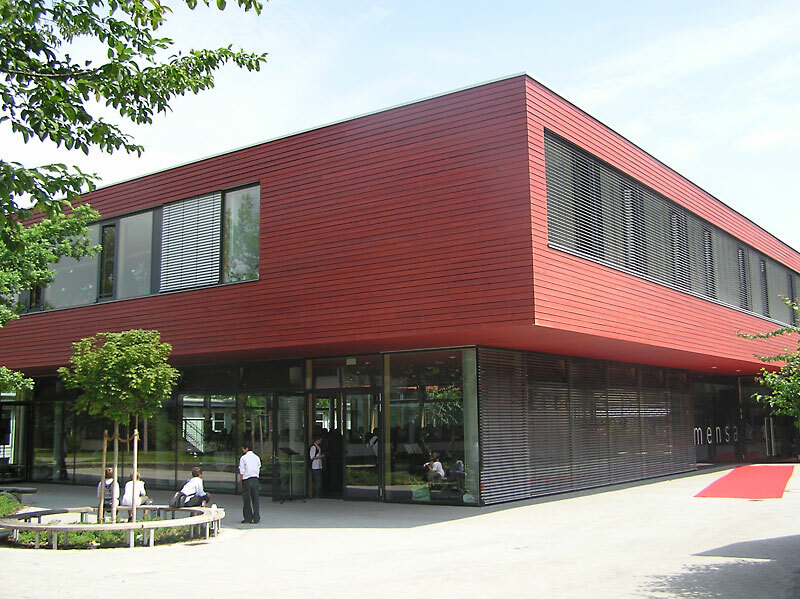 The canteen area with self-service counter, kitchen and storage is situated on the ground floor, whereas the after-school care is on the first floor.